I knew my first week on the Catalyst Active Collaborative Learning project was going to be intense. 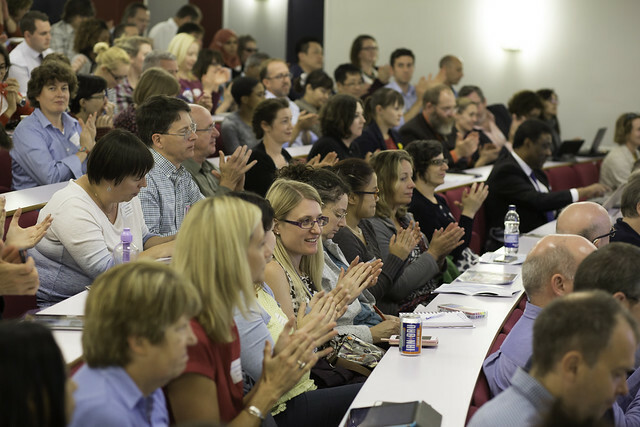 I joined the Anglia Ruskin team just a week before we hosted the Active Learning Conference. Coming from a disciplines background (two weeks or a lifetime ago I was a bioscience lecturer), I’m still finding my feet in education development. Never mind finding my way around the Cambridge campus. At the pre-conference masterclass, the first person I met was my opposite number at Bradford, Beck McCarter. Beck commented to me that everybody in learning and teaching has been on a journey, ‘so what’s yours?’ And that conversation set the tone for the next few days: I kept meeting people who have shaped their careers based on being passionate about learning and about students. I might be new, but I was welcomed as a colleague straight away. I spent a delightful afternoon using Team-Based Learning to learn about TBL, with an application activity on how to write application activities with the aim of giving students feedback on how to give feedback. And of course we offered each other feedback on our teams’ proposed designs for teaching about feedback. Put like that it sounds confusing, but in fact the TBL method provided a great framework for fruitful discussions about how best to use the method in teaching. There was plenty of shop talk at the conference dinner, but it didn’t feel like work or even networking. It felt like exuberance as we compared notes on practice, debated the evidence for various active learning methods and built each other up to be better teaching and learning experts. The conference itself was a tour de force. I’m not boasting, because it was my colleagues in Anglia Learning & Teaching who organized everything before I came. It was really packed, with multiple parallel sessions in each time slot, some hour-long workshops, and some series of short papers. Not a one was dud, everybody was sorry they had to miss one great session to attend another. The sparky, transformative conversations continued through our refreshment breaks and via the #altalc Twitter hashtag. I can hardly list the highlights, because everything was a highlight. But I was excited about Mike Sharples’ (Open University) keynote on running an absolutely huge online course with upwards of a quarter of a million students, learning and supporting each other through conversation. I might have thought the moderation required would be completely unfeasible, but apparently all participants remained polite and positive with minimal intervention. Even when videos received as many as fifty thousand comments. I loved Fabio Aricò’s (University of East Anglia) insights into a method of Peer Instruction, where he uses intense analysis of the data from “clickers” (poll response devices) to pick up a data-rich picture of student learning. He could demonstrate convincingly that peer instruction improves both students’ understanding of concepts and their ability to correctly self-evaluate their own understanding. 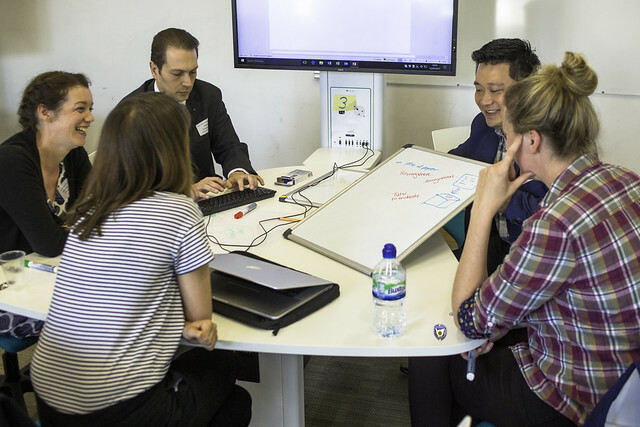 A similar approach, though with a different methodology, was proposed by Nicky Milner (Anglia Ruskin University), who is using data from the TBL readiness assurance process tests to identify students who need extra tutorials. The day after the conference, I met with the project team properly for a half-day of detailed discussion of the nitty-gritty of how we are going to harness the passion in evidence at the conference to really improve student learning and success. We’re addressing the practical and institutional barriers to adopting more active learning at our three institutions, and hashing out the details of how we are going to evaluate the benefits. Ultimately, we’re going to make a blueprint for all Higher Education institutions to see what works for scaling up Active Learning. It’s going to be quite a journey, and this week’s conference has really got me fired up to join my new colleagues on this path.